Third oil company looks to bring big rigs over U.S. Highway 12 Biologists scour Mojave in desert tortoise roundup. 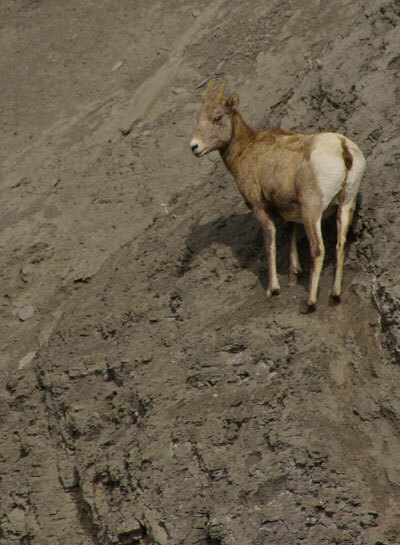 BLM reviewing sheep allotments within 30 miles of bighorn populations. This is another exposé about the fallout of the Payette bighorn viability decision and the latest science which conclusively shows that domestic sheep diseases kill bighorn sheep. What jumps out at me is the information contained near the bottom of the article which says that the BLM is evaluating its policy regarding the two species in Idaho. The bigger question here regards what is happening elsewhere. Are the BLM and Forest Service reviewing their sheep grazing permits in other states? I should hope so because, in places like Nevada, where sheep grazing routinely occurs extremely close to, or within, occupied bighorn habitat, the risk of exposure is extremely high and underestimated by the agencies in favor of the “custom and culture” of the elite ranchers who often turn out to be big corporations like Barrick Gold or the Southern Nevada Water Authority. Why do I say this? It is because agencies generally define occupied habitat by the presence of ewe groups and do not take into consideration the wide ranging and unpredictable movements of rams during the rut. These rams, often in solitary moves across the landscape, can easily intermingle, undetected, with domestic sheep and contract disease which they then carry back to the ewe groups they are seeking out. These forays can be of up to 45 miles and, in many cases, could likely be behind many of the outbreaks in areas where domestic sheep operations aren’t thought to be close to “occupied” habitat but well within the distance where these forays could easily take place. In Idaho, which is more forested, it is much easier for sheepherders to lose track of large numbers of sheep which could remain out on the landscape long after they are supposed to be off the range. These sheep have been found far flung from where they were lost and, in at least one documented instance, were found, in the winter, living in Hell’s Canyon where they were shot by IDFG personnel because no one would claim them and the suspected owner would not remove them. In another instance, possibly related, a rancher claims to have lost 200 sheep to wolves but the incident was never reported to authorities and no investigation was ever done. Were these sheep truly lost to wolves or could they have escaped and later moved to lower elevation in Hell’s Canyon? Nobody will ever know the answer to that one. There is one quibble I have about this article. Pickett does not “own” the BLM allotment, he has a permit to graze on it, which is not a “right” as portrayed in the common vernacular put forth by the self entitled ranchers of the west. Rancher Don Pickett owns one of the BLM allotments close to Big Cottonwood Creek. He said there is no issue with intermingling on his allotment and doesn’t buy the argument that bighorn sheep were historically in the hills. He doesn’t think he should have to move from where his family has ranched since 1882. It appears the old maxim “my grandpa did it this way so why do we have to change?” isn’t really working anymore. It also goes to show that when agencies allow an activity it is hard to change things once it becomes apparent that it isn’t working. 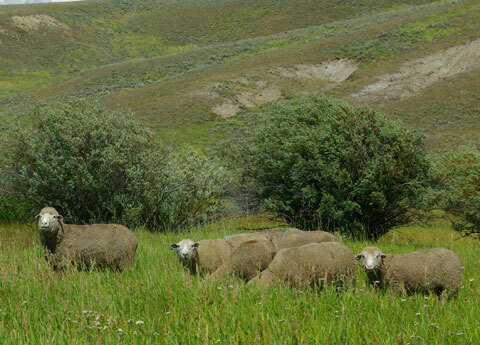 Sheep link to bighorn illness adds to grazing controversy.